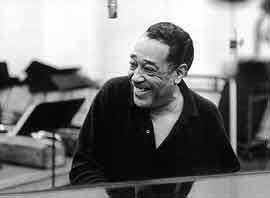 Anna Walker, late great-aunt, former Broadway hoofer, and later dance teacher (she could do a perfect Rockettes line kick at the age of 80), always celebrated Duke Ellington’s birthday and extraordinary musical legacy. This entry was posted in Anna Walker, Duke Ellington. Bookmark the permalink.